Hey all, I’ve had lots of requests for a little insider info into how the custom home building process works. I can’t say this is how it works for everyone, but this was our experience this time around. 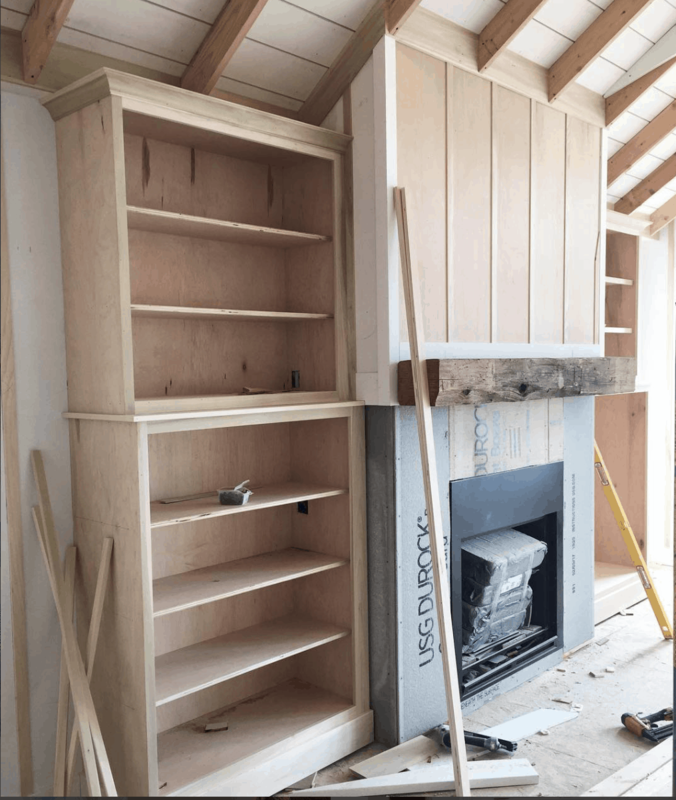 I’m going to start at the very beginning (a very good place to start…I couldn’t resist) with how to pick a contractor and a couple of other “how to get started” questions I get a lot. 1. How did you find your land/property? 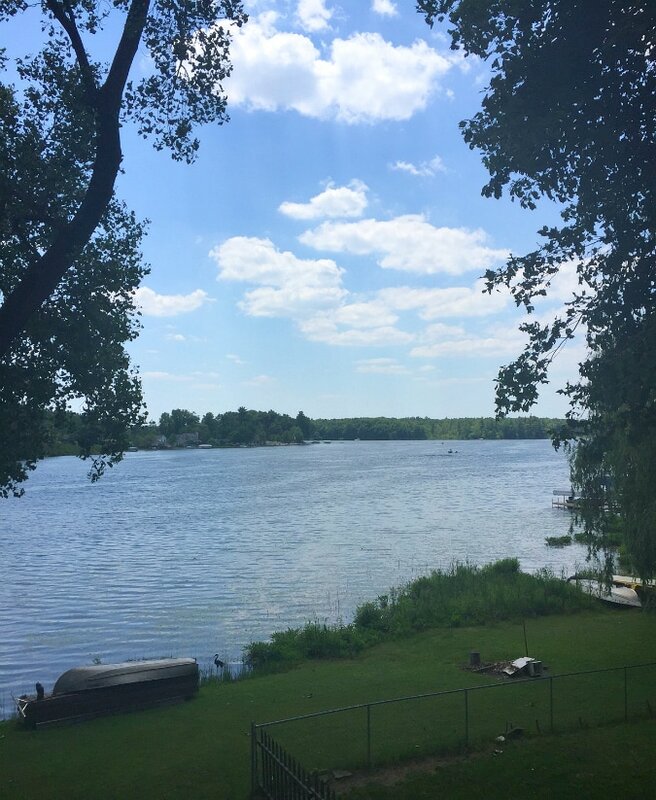 This will be totally different for each person, but in our case, we used to live across the lake and I ran the 3.5 mile trail around the lake a few times a week. I had run by this house a million times and never noticed it, but I stopped to tie my shoe one day and happened to look past the house and see how beautiful the view was from this bay. This was a total God thing. There was an open house that Sunday and the rest was history, you can read more about that here. 2. How did you find your contractor? There are a few ways to find a contractor – word of mouth, Parade of Homes (or Home Shows in your area), or driving past newly built homes/neighborhoods. We went word of mouth mostly, although I had been through a Parade Home of one of the builders we interviewed. 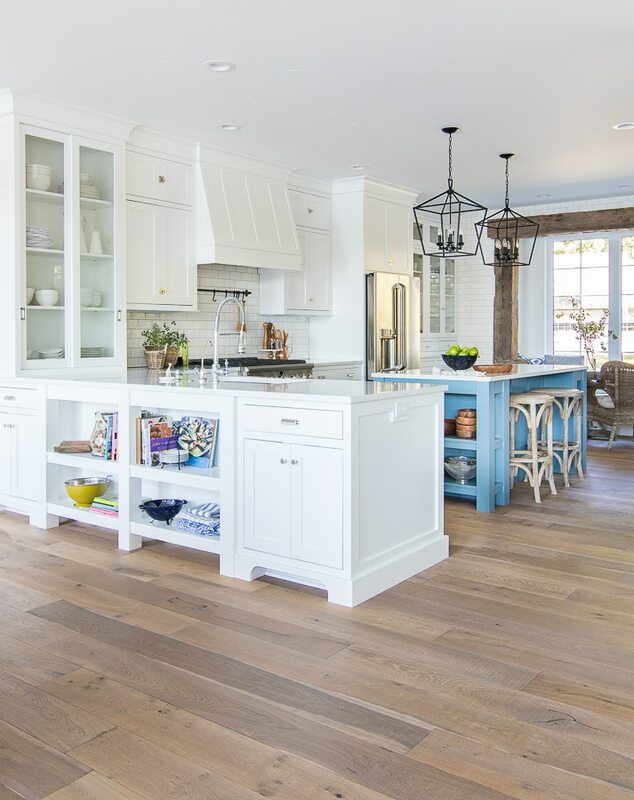 We interviewed 4 general contractors based on recommendations from friends and family. How crazy is this photo of the living room to look back on? When you meet with a contractor, three things to keep in mind are your design style, your budget and their timeline. Design Style – Your styles don’t need to match up completely if you have a strong design idea in mind. If you have pinterest photos and magazine tear outs that you want to make happen, you will most likely be ok. Some builders use an in-house designer to help the process along, so it may be more important that your styles match up well in that case. In my case, I knew what I wanted and was fairly confident I could work with most people if I communicated well. That said, if a contractor typically builds super modern structures and you are wanting a more classic style home, you could probably find someone who is better suited to your needs and will be more familiar with the products and style you love. Budget – Now just because you have pretty pinterest photos doesn’t mean that you can make those things happen on your budget. Talk over your must haves with your builder, but also your budget. If he is a good contractor, he will highlight easy things to take out to hit a budget, or that there is no way to make certain things happen at a certain price range right up front. This can be hard to even find a starting point, but most builders have a price per sq ft they build at as their base and can give you ballpark estimates for all the extras you may want to add. For us, that meant our living room ceiling, all the board and batten walls, and the custom cabinetry details. Several contractors we interviewed were also able to share examples of homes they built (with floorpans, photos, etc.) and what the approximate price of the home, so you could get an idea of what you can get for your money. This was extremely helpful in figuring out where we were going to land price wise. Timeline – This may not be a factor in all areas of the country, but right now the real estate market in West Michigan is nuts. There isn’t much on the market and what is there goes fast, so that leaves people with the option to build. We had a few contractors that we loved, who were booked out a year and we didn’t have an entire year to wait. 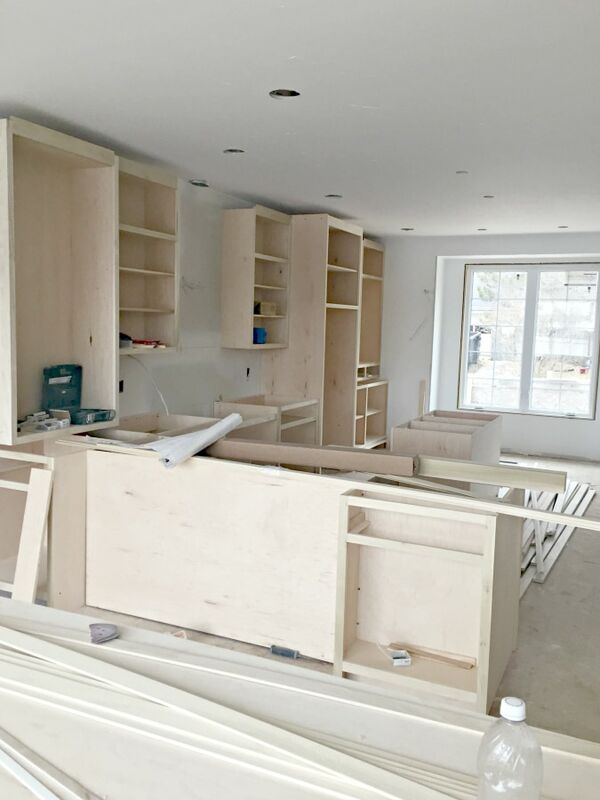 Can you believe our kitchen started out like this? Lastly, personality is also a big factor – can you communicate well with this person? You will be spending a lot of time working with your contractor, or in our case, I ended up working more with the Project Manager, who did all the trim work, built all our cabinets, etc. It’s important that you all can be on the same page especially if you aren’t able to be at the project stalking every detail like I was. Although project stalking may be annoying at times, I highly recommend it because no matter how good you are at communication, some things can get lost in translation. We saved some costly mistakes based on me showing up to go over details every day. For example they originally started the board and batten at 10 inches apart instead of 12 because they were going off the center of the boards. Thankfully I caught this after one wall. These before and after shots are so fun to look back on! 3. What about an architect? Originally, we were going to use the architect who drew our last house, but our contractor’s wife actually draws a lot of the house plans they have used in the past. So after meeting with her several times and sketching out lots of ideas based on different homes I showed her, we decided she would be able to come up with a great plan for us. Alternatively, if you are going through parade homes and like a certain style, that is a great way to find an architect or designer, just again, be sure your budget matches your plans. 4. What’s the timeline you can expect? This again varies completely based on the type of home you are building, time of year, area of the country etc… I can tell you for us, we bought the property in June of 2016. Started interviewing contractors right away and settled on our contractor and his wife to draw the plans by August. The plans were finalized by October and construction started early November. We were lucky with the weather and had a mostly mild winter so the crew was able to work straight through and we moved in at the end of May 2017. From start to finish, it was about a year long process for us. But I know that can vary a ton! Wowza, I’m over 1,000 words, so I think I’ll stop there before your eyes glaze over. But, if you have other questions, leave them below and I’ll add them to my building series list! I hope this was a little bit helpful to those of you who are thinking of building a custom home and need some direction on how to pick a contractor. Me too! Did you demo the entire house or did you do an extreme makeover/add on? PS: I really enjoyed this post! We knocked down the whole thing, it was falling apart! There was actually a hole in the living room wall to the outside lol. Hmmm, I don’t remember for sure I want to say it was around $20K? Thank you so much for the information. We close on our lot this Friday. I look forward to more on the building process. 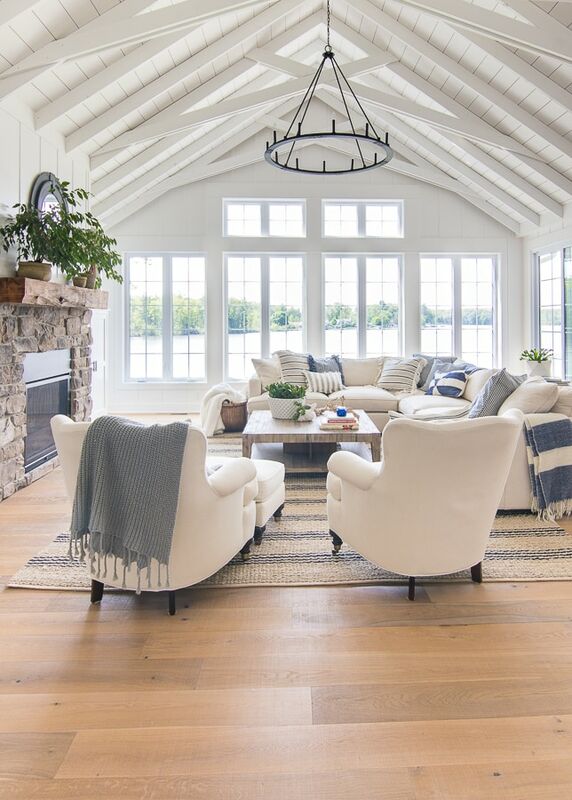 Love your vaulted ceiling and wall of windows. Oh have so much fun building! Oh thanks Sandi I’m so glad you found this helpful! I always get nervous when I write long posts like this that I’m boring you all! Good luck with your renovations! How high are your ceilings throughout and how high is the peak in your family room? 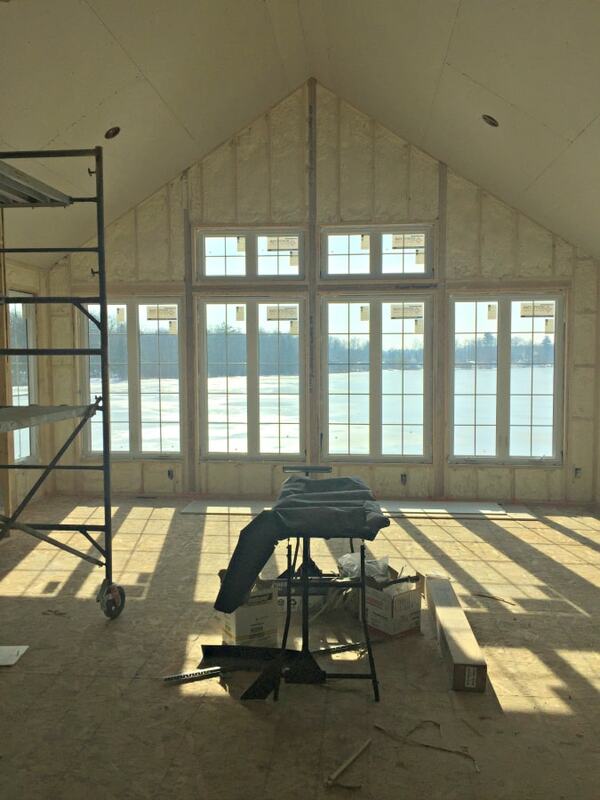 We are in the process right now of designing our lake home so this post is very timely! Our ceilings are 9 ft and I think the peak is 18 or 20? I too am curious about Jenny’s questions. Custom seems so daunting when theres so much more to decide on but like custom because its your decisions on each room. How did you price everything out so that you didn’t go way over board in the details…those are the things that I enjoy the most? I understand that some custom builders quote you for the house build but all the flooring, cabinets, hardware, appliances, paint, etc are extra. Thats where I would get in trouble! Look forward to more information. Your house is drool worthy! Wish you were closer to Texas! Building a custom house can feel like a full time job for sure! If it feels daunting I would recommend working with a builder that has a designer because they can guide you through the process. There was a budget for every big think flooring, lighting, cabinets, plumbing etc. So if I kept to the budget we were fine, I definitely went over in some places and cut in others to make it all even out. Make sure you speak with your builder about realistic price points on budgeting. Like you want wood floors throughout not carpet etc. I’ll do a post on this thanks for the idea! I should write a post about this! We had a lot of it picked out or mostly picked out but he did give me a time table for when he needed my selections. There was also a specific budget for each big thing like a flooring budget, lighting budget etc that I tried to stick to. He gave us options as far as insulation types (and similar things) with price tiers on everything if that makes sense. You do get burned out making decisions for sure, but it’s worth it! This post is perfect timing! We just moved into a new home that has a lot of projects that are needed, so this post couldn’t have been better timing! I can’t wait to get in there and start making it our own! Oh good, glad you found it helpful! I am in the process of custom building and this is great info! One thing I’d like to share is understanding how your builder gets paid. Is your builder expecting a cost plus set up, a flat fee based on overall cost of the home (%) or do they not share how much they intend to take? We actually let go of our first intended build because the builder would not disclose how much they were taking (he owned the lot). For me personally, I needed to see where each dollar is going. We finally (4 contractors later….) found a builder who charges a flat 8-10% fee based on anticipated cost of the home. OH that’s a good post idea most every builder we interviewed had a percentage fee. I’m really impressed you were able to move in May, when you didn’t start construction until November. That’s fast…and especially building through winter! Was your home framed and “protected” before the first snow? I’m not from a snow state, so am curious how that works. Love your choices and your style…and long posts about the process and how you made all the decisions. 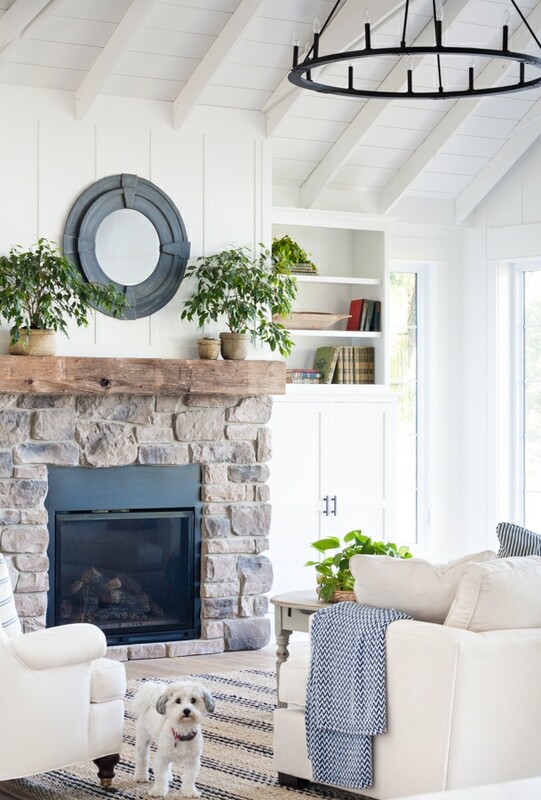 -Like how did you choose THAT stone for the fireplace (love it). Why that shade of floor (love it! ), why 12 inch vs 10 inch board & batten (and good catch!) Also – how is your floor doing near the dishwasher? Also – what is your degree in? Do you have an interior design degree, or just blessed with great taste? Thank you! We actually got a crazy early snow and it wasn’t finished framing when we got a foot of snow in the house. They shoveled it out and kept going :) They did get it water tight as soon as they could. Thanks for all the questions I’ll try to get to a few of them in blog posts! The shade of floor I picked bc it hides all the dirt and sand (it’s the color of sand pretty much) and it’s doing great by the dishwasher we are careful to wipe up any water spilled there. Thanks! I love reading your posts as we bought a lake lot in April and will break ground this January. Your house is gorgeous and I think I have pinned all your pictures! We are also in west Michigan and am curious at who your contractor was. Thanks for all your posts as we navigate this custom build too. They certainly help! We are working on plans to build on a lake. I noticed your decks are not covered. Do you get a lot of warm sunshine in your rooms in the winter? Is it hot in the summer? What direction do your decks face? We do get a lot of sun in the winter! Natural light is really important to me so I didn’t want any of the decks to be covered. We have a few large trees around that provide shade at different times of the day. Our house faces south but the way it faces the sun doesn’t come in during the summer, only in the winter which is perfect! I’ve been following you for a while – your home is gorgeous! We are building a custom home and my husband is lending a hand on a few projects to make them more cost effective! It’s fun, but means more planning for me so he can execute my dream!! I’m in the thick of it right now in picking light fixtures, cabinet hardware, and figuring out the fireplace mantle (which my Mr is building). Would you share the height of your mantle (top of mantle off finished floor and height of mantle itself)? I have board and batton (squares) planned over the fireplace and built-ins surrounding. Trying to figure out what height would be just right. Thanks!! The top of our mantel is 67 inches off the floor. Good luck with your new build! 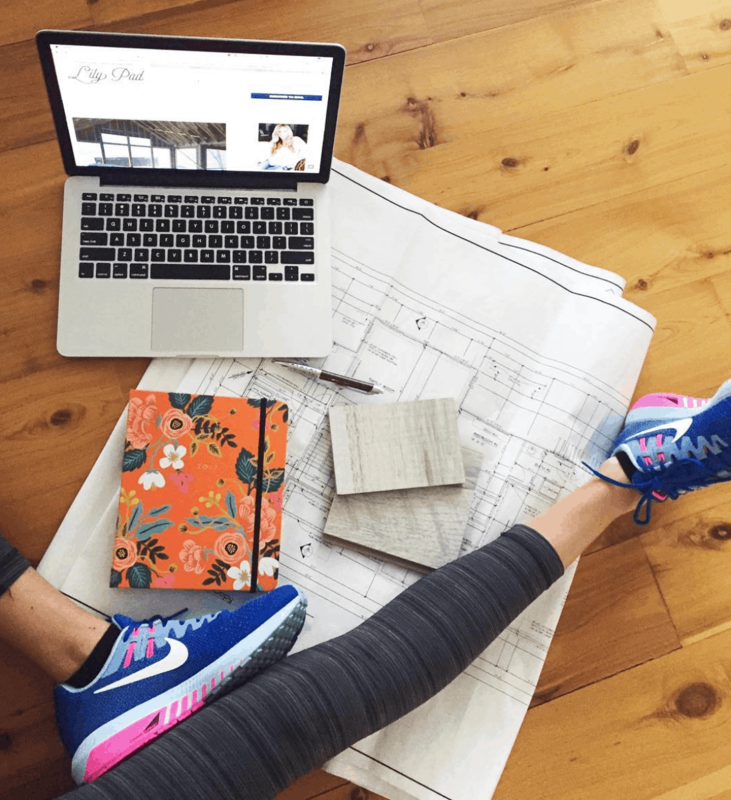 I love following your blog – your home is just gorgeous! I live in a mountain town in Idaho and we are getting ready to build. Wondering if you can share the square footage of your home? 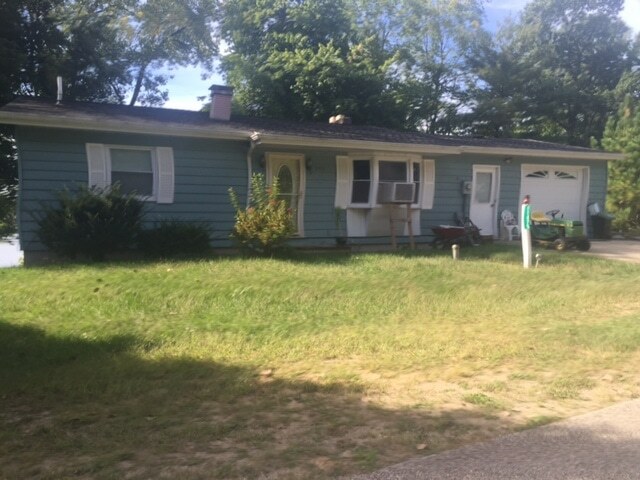 Is it 3 bd/3.5 bath? Hey Dana, it’s about 3800 sq ft, the main floor is 2,000. It’s technically 4 bedrooms but we use one as a workout space and yes we have 3.5 baths – thanks!